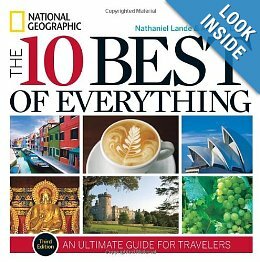 I am currently skimming The 10 Best of Everything by Nathaniel Lande and Andrew Lande. We'll be flying British Airways to Europe next summer, so I'll be able to judge them for myself, but how about you? Do you agree with this list? Hmm I do like Cathay, Air NZ is fantastic too. Malaysia is great, so is japan airlines. American I wouldn't count among them sadly. I have not been on a few of them. I do also really like Etihad as well, it was fantastic. And I wa pleased quite a bit by Royal Jordanian. You've experienced quite a few, Anwar! Thanks for sharing! I have been to Malaysia and Singapore both are ideal place for shopping lovers.